unfortunately things don't always go as planned. I never got around to taking those photos of my newest pincushion after all but thankfully there is always tomorrow/today. It had been such a busy day again. 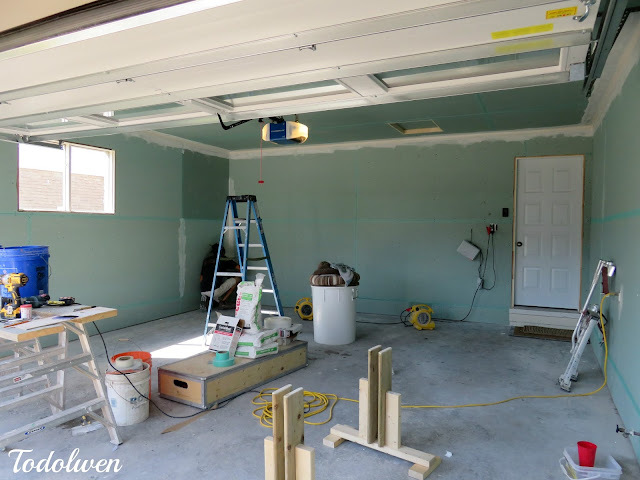 The drywalling is now all done and the mudding and taping of the garage walls has started and that means that it is almost done! I was very busy helping our contractors with the interior doors. I took the old ones down and then removed all the hardware so I could donate it to Habitat for Humanity. The first three new doors are now hung and it is nice to see them finally where they belong. Today the rest of them are going to be hung and I am excited about it. 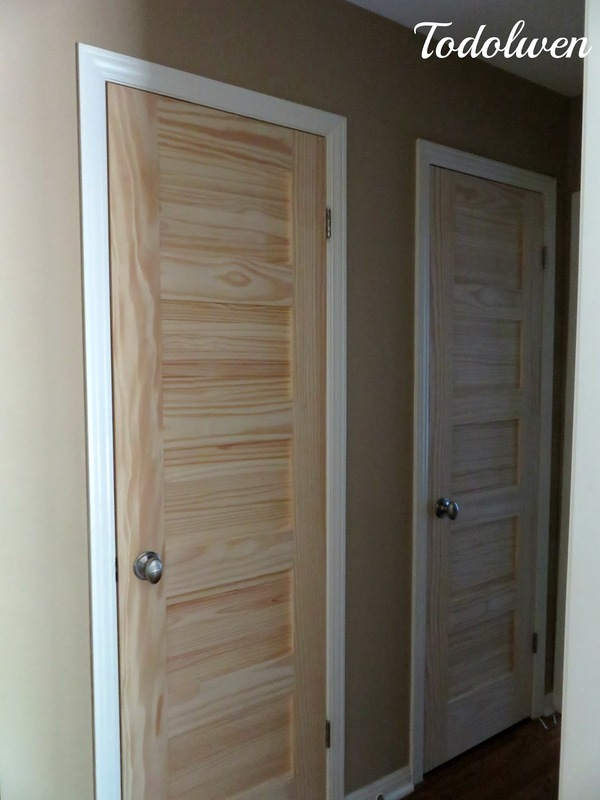 The only problem I have, is that I am just not sure how we are going to finish them yet ... stain or paint?! That is going to be a tough one to decide. Not only did I help with the renovations somehwhat but I also was able to have a little creating time as well. I am behind in creating a few pincushions. I am making them using pewter tulip candle holders. Just before dinner as I was tidying the table to set it, I drop one of them on one of my toes. The candle holder isn't that big but somewhat heavy and especially when dropped from waist hight, it hurts. ... I was standing at our kitchen window, when I looked outside and saw something moving in our pool. It didn't take long for me to realize that is was a young blackbird. It was in the water trying to get out somehow but it just couldn't make it. It must have mistaken the bright blue of the water for the solar blanket that sits on our pool when it isn't being used. The bird's wings were weighed down from the water and it was going to drown. I ran outside, grabbed our pool brush and carefully dunked it into the water underneath the bird. It took three attempts until the little fellow held tight properly so I could lift it to safety. I placed it onto the grass where the young bird slowly hopped away and then hid under an evergreen where it stayed, trying to recover from it's wet and frightning ordeal. Shortly later on I checked on it and it was gone. I am hoping it was alright. I can't tell you how happy I am that I looked out of the window when I did. Helping and saving that little feathered critter just made my day! I wish you all something that will make your day special! wow... you are so busy! A wonderful garage with so much space! The garage is coming along so nicely. So happy you could be an angel to save the little bird. LOVE what you're doing to your home but LOVE it even more that you are donating!!!!!!!!!!!! Your garage is going to be too nice for parking the car - I'd be eyeing it for a great studio space. Helping A Little In The Hot Weather ..
A Goose Filled Morning ..